Plastic bottles are an important packaging material in many sectors. Beverages, foodstuffs, cosmetics, and pharmaceuticals as well as household and industrial chemicals can be packaged and sold in plastic bottles. Market analysts at Ceresana expect European market volume to increase to approx. 170 billion units. The bottle industry is capitalizing on the popularity of single-use PET bottles in particular, which has considerably gained market shares in the previous eight years already. The quality of plastic bottles is improving continuously; thus, they gain access to segments that traditionally used other materials. Plastic containers are becoming more important, not only in the segment beverages, but also to the foodstuffs, cosmetics and pharmaceuticals industry. New filling technologies and the development of heat-resistant PET bottles open up new possibilities and options. While PET bottles are very common in the sector beverages, cosmetics, sanitary products, and detergents are predominantly sold in bottles made of polyethylene (PE). This polymer is also used in the production of bottles for milk. An increase of population and a rising standard of life in some Eastern European countries, combined with a spread of a westernized way of consuming, have positive effects on demand for plastic bottles. In Eastern European countries, per capita consumption of packaged beverages still is considerably lower than in the west. This offers high growth potential for the future, which will have corresponding effects on demand for plastic bottles. An exception is the market share held by beer bottles made of polyethylene terephthalate (PET), which already is higher than in Western Europe. This is partly due to Eastern European consumers, in general, accepting a shorter minimum durability of products. Overall, demand for packaged consumer goods in Eastern Europe will continue to increase. Demand for plastics bottles in hygiene and cosmetics applications is expected to rise notably during the next few years. In many Western European countries, certain segments of the market for beverages, such as lemonades and water, are already relatively saturated. This results in comparatively low growth rates for these sectors. Analysts at Ceresana forecast the largest growth potential in Western Europe countries for the segment Pharma and Cosmetics. Consumption of pharmaceutical drugs and other pharmaceutical products will rise, e.g. due to the increasing proportion of senior citizens. The market research institute expects demand in this segment to increase by more than 2.4% per year. It has to be noted that the trend towards the consumption of convenience products, leading to smaller packaging sizes in certain consumer and product groups, is superimposed by a reversed trend that is due to the tense economic situation in many countries. Many consumers are buying bulk packs in order to save money. The reduction of weight remains a declared goal of the industry, which will result in ecological effects in transport in particular. In regard to weight, plastics have a definite advantage over glass. Plastic bottles are also catching-up in areas such as gas barrier properties and protection against UV radiation. These factors are leading to plastic products increasing their share of the packaging market. 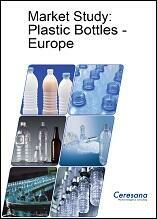 Chapter 1 provides a presentation and analysis of the market for plastic bottles - including forecasts up to 2020: Market data regarding production, import, export, and demand in individual application areas are given for 20 countries and the European market as a whole. Chapter 2: Substantiated analysis of individual application areas for plastic bottles: Current data and forecasts for development in the segments Lemonades, Water, Fruit Juices, Dairy Beverages, Other Beverages, Household Chemicals, Cosmetics and Pharma, Other Applications (sauces, salad dressings, cooking oils, baby bottles, sports bottles, and others). Chapter 3 provides profiles of the largest manufacturers of plastic bottles, clearly arranged according to contact details, turnover, profit, product range, production sites, profile summary, products, and applications. Extensive profiles are given for 50 producers such as APPE, Heinz Plastics Group Holding HPGH GmbH, Logoplaste Consultores Técnicos, S.A., Nampak Plastics Europe Limited, Promens hf, Resilux NV, Retal Industries Ltd., Rexam PLC, and RPC Group Plc. (Note: The profiles are assigned to the country in which the company or holding is headquartered. Company profiles also include JVs and subsidiaries). Single chapters available on request. If you have any questions, feel free to contact us via the Contact Form or via e-mail info@ceresana.com.